Many of UH Hilo's academic programs utilize the island of Hawai?i as an island laboratory. The Island is larger than all the other Hawaiian Islands combined (about the size of Connecticut), and possesses of 10 of the world's 13 climate Zones. The island also has an active volcano, a tropical rainforest, and the premiere spot in the world for Astronomy atop 12,000 foot Mauna Kea.UH Hilo offers "hands-on" learning, service, and leadership opportunities for our students to connect the classroom lectures with reality based situations. This applied learning also creates opportunities for close student and faculty interaction.Students are encouraged to collaborate with their professors on research projects, many of which result in publication in leading journals, giving our graduates a great advantage in employment or graduate school.U.S. 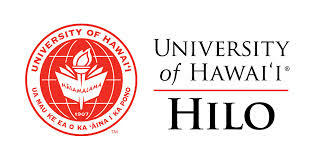 News and World Report ranks UH Hilo as a national liberal arts (and science) university. We have the distinction of being the only national liberal arts institution in Hawai?i and one of only 22 public national liberal arts institutions in the United States. The benefit is a state university which conducts research and creates knowledge while also providing a personal and friendly atmosphere.